The highlight of Christmas decorating is the tree! I think what I love about it most of all about Christmas trees that they can be any style or aesthetic. From fun and funky, to sleek and modern, to traditional and warm. Your Christmas tree should reflect your personality and the things you love. 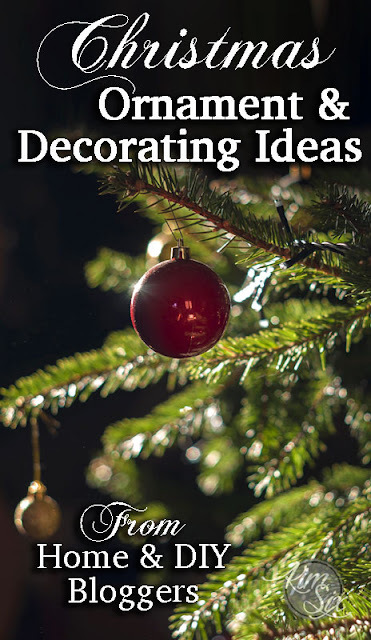 I tend to be pretty traditional with my tree decor, but I have lots of blogging friends who are totally different.. and that is what makes decor so fun, there is something for everyone. So this month the All Things Creative Team is bringing you wreath and tree decorating ideas. There are so many creative ornament and theme ideas as well as some beautiful home tours. You could spend all day just browsing through the links! ENJOY!